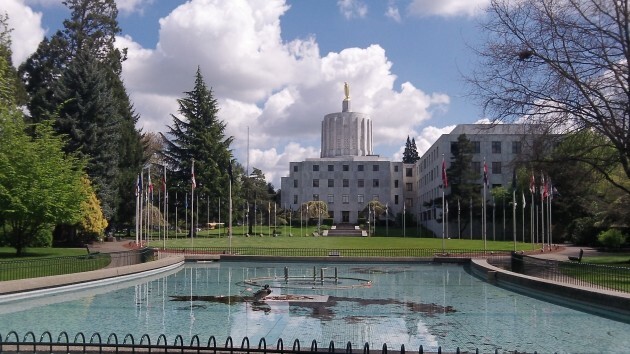 It would be nice if Oregon legislators insisted on getting some facts instead of voting based on assumptions and emotions, as the Senate Judiciary Committee did on the gun-confiscation bill it passed, 3-2, on Tuesday. The firearms provisions were stuffed into an unrelated bill, SB 719, which cleared the committee on the votes of its three Democrats. The two Republicans voted no. The bill would authorize judges to order citizens to surrender any firearms they own and not buy new ones for a year if relatives or the police think the citizens are at risk of hurting themselves or others. It’s being billed as a suicide-prevention bill. But it could also be used to try to disarm people with a history of violence who may be a threat to their families or others. How would this bill work if it becomes a law? Nobody seems to know, at least nobody on the Senate committee or among the many people who testified. Maybe these gun-seizure orders — known as “extreme risk protection orders” — will be similar in number to the nearly 10,000 orders issued in 2016 under Oregon’s Family Abuse Protection Act and the 2,700 cases in which “stalking protective orders” were issued. The Oregon Judicial Department guessed that the gun orders might be 10 percent of that total. If so, Oregon courts might have to order about 1,260 persons a year to hand over their firearms. Or the estimate could be way off, and the number of gun seizures might actually be closer to 12,700, which would be a fairly significant and revolutionary departure in the history of constitutional protections and civil rights. Well, Progressives gotta progress; and the facts seldom matter. Especially if it involves one of their ideological positions. These include of course, guns are bad and gun owners evil; conservatives are racist, etc., etc. ; abortion is a right; Christians are ignorant fools; and so on. We can only hope this bill is DOA when it arrives on the legislative floor. Oregon has become a smaller version of the idiocy that is California. Mr. Beeson’s analysis of your typical Reactionary seems pretty much spot on. I didn’t realize how self-reflective Conservatives could be about themselves. It will have no effect on crime in any way. This is a gun hater’s dream and just one more tool to circumvent our 2A rights. Gun haters have no agenda except the elimination of the 2nd amendment. This is just another nail in freedom’s coffin. If they come for my firearms they’d better be armed. Because I will be. Relax “Gun Nutz”. Firearms are not going anywhere. They are so deeply ingrained into American life. I simply wish you all would care as much about other amendments as you do about the 2nd. Try the 1st or maybe the 10th. The latter especially when thinking about government overreach. State’s rights….right? Pro 2nd Amendment people are so obsessed with guns and their “rights” they don’t care if their rights trample on the rights of so many others. Quick to point out why this or that won’t work, but don’t provide solutions. What will help solve the mental health issues? Don’t bring a problem without a set of solutions, and this solution is going to take everybody getting involved. You want your guns? Fine, but get involved and help solve the mental health crisis in this county. You can disparage each other and throw jabs, but you are now part of the problem. Restricting people with mental health histories is a logical step, how to implement that? I am not sure. However we shouldn’t stop trying something and allow for continued needless deaths and crisis. And for every one of you 2nd Amendment supporters, you better have your guns locked up and secure, responsible gun ownership is one of the answers in preventing shootings.